When you have one autoimmune disease, it's not uncommon to develop another, and if you develop a third, you get a special label: Multiple Autoimmune Syndrome. Add to that the health devastation of waiting almost 15 years for a full diagnosis, and I think you've also earned the title, Autoimmune Warrior. Angie has celiac disease, endometriosis and an autoimmune skin condition. In the years leading up to her diagnosis, she endured numerous hospital visits, extreme pain, and psychiatric symptoms that made her consider checking herself into a mental hospital. The gut-brain connection is real. There's often a misconception that celiac is simply a digestive problem that can be resolved by eliminating gluten. Angie experienced all the ways celiac disease can impact the body globally, and for her, going gluten-free actually made her problems worse. 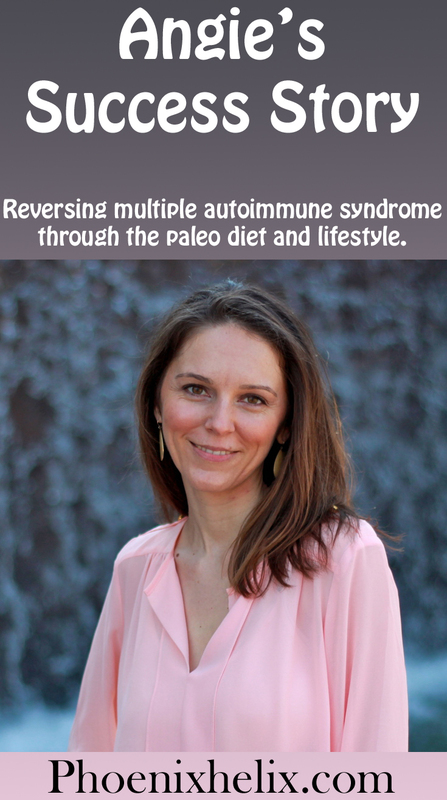 It wasn't until she discovered the Paleo Autoimmune Protocol (AIP) in 2012, that she began to reclaim her health. It's been a journey. Some symptoms disappeared within 72 hours, but others are still present 19 months later. However, she doesn't give up, and neither should you. You have 3 autoimmune diseases. What were your first symptoms for each, and how long did it take to be diagnosed? My first diagnosis was in early 2001. I was diagnosed with an autoimmune skin disorder. I got diagnosed relatively early for that one, shortly after my first symptoms appeared, which mainly consisted of pain and itching. I think that quick diagnosis was due to the fact that I researched a lot about what it could possibly be & went in to my doctor armed with information. My instinct turned out to be correct. My second diagnosis, in March 2010, was endometriosis, but I’d had symptoms for a very long time, since at least 1997. The main symptom was again pain. Endometriosis cannot be confirmed without surgery, so that is one reason for the long delay. The last diagnosis came in February 2012 and it was celiac disease. My first symptoms were stomach pain, nausea, and a change in bowel habits. It took over a decade to be diagnosed. When I look at the chart that lists all the symptoms of celiac disease, I notice that skin rashes and menstrual pain/irregularities are on the list. Do you think undiagnosed celiac was at the root of your other autoimmune conditions? This is such a good question, and one I’ve thought about and discussed with many doctors for almost two years now. The answer is yes. Definitely! I believe the chronic inflammation in my gut contributed to loads of other health problems. For example, in 2010 when I underwent the surgery that ultimately diagnosed my endometriosis, I also had an unexpected appendectomy. When my doctor “got in there,” he realized I had been suffering with chronic appendicitis (I went through several mind-blowingly painful appendicitis episodes, but the diagnosis was missed. This happened, in part, because I was living in West Africa and there was almost no health care and, in part, because chronic versus acute appendicitis is hard to identify.) I am certain as the celiac worsened, the inflammation spilled through my body causing problems with other parts of my digestive system, like my appendix and pancreas, parts of my reproductive system, and even my skin. My immune system was also basically being “poked” every single day by gluten. I’m sure the uncontrolled immune response lead to further autoimmune disorders developing. Can you describe what it was like for you, when your health was at its worst? It was a very scary period of my life. I was having severe mental and emotional problems, due to how malnourished I had become from undiagnosed celiac. Many people don’t realize what an important role vitamins and minerals play in maintaining stable mental health, I certainly didn’t understand it at that time. Honestly, I thought I was losing my mind. I even considered twice, with the guidance of my psychiatrists and psychologist, whether or not I would admit myself to a psychiatric facility. I had intense anxiety nearly all day and could barely sleep at night due to it. I had panic attacks and was afraid to be alone, be in public places, and drive. I cried constantly and was very depressed. Physically, I was emaciated, weak, and had an incredible searing pain in my rib cage. I also had an irregular heartbeat and numbness in my feet, lower legs, hands and face. And I was tired. Tired in a way that I can’t even describe. That’s just some of it. I had so many strange, upsetting symptoms; it was very scary and confusing. Early on, with the skin condition, I used a potent steroid cream. Thankfully, my case was mild and it went into remission, so I didn’t have to continue the treatment, which itself is damaging to the skin. 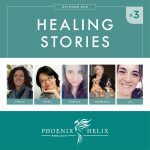 Then in 2008, after being told I was infertile (a symptom of both endometriosis and celiac, although I remained undiagnosed), I saw an alternative practitioner who put me on a detox diet, but she treated it as a short-term approach. I didn’t realize yet how powerful diet could be in my healing. As my symptoms worsened from that point, I got more desperate. I had surgery for the endometriosis in 2010 and then was put on continuous birth control (no stopping for a period) as a way to manage it. At that point, my celiac symptoms increased dramatically, but nearly every doctor I saw said that I had an anxiety disorder & depression. I knew that was not the underlying issue and held out against taking major anti-depressants and anti-anxiety medications, but I did begin taking Xanax. Truthfully, though, I was white knuckling my way through the mental and emotional suffering even with the Xanax. Right before celiac diagnosis I also started taking a proton-pump inhibitor, as I had developed heartburn and acid reflux. I tried a traditional gluten-free diet for the first three months post-diagnosis, but I actually got more ill. I started having extreme allergic reactions to nearly everything I was eating. I was in the E.R. several times a month and carrying an EpiPen. 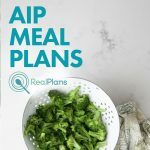 In May of 2012, I discovered Sarah Ballantyne's version of the AIP (the Paleo Approach), and I’ve never looked back. I saw results within 72 hours. It was very dramatic. The first improvements were mental and emotional stability, and then physical improvements followed. My husband and daughter got behind me immediately, because the results were so clear. Trips to the hospital are now in the past. My gluten antibodies dropped from 161 to 0. I no longer experience GI pain, constant burping or painful bloating. The numbness in my extremities and searing pain in my ribcage disappeared. I stopped seeing a psychologist and a psychiatrist, because I no longer needed their help. My mental clarity is 1,000% better, too. I had withdrawn from college courses due to how debilitated I had become. I could not read course work, I could not write effectively or participate in class discussion. Basically, I could not concentrate and process information well anymore. Now, I'm back in school, pursuing health coaching certification. Although the mental improvements happened immediately, the physical improvements took time. Sometimes I think the slowness of the healing process can make people feel like the AIP isn't working. I recommend people take the long view as often as possible. Everything! Everything improved. I haven’t had a cold or flu in over a year. I have absolutely no problem with seasonal allergies (I used to get a sinus infection nearly every spring). My hair stopped falling out. I have energy, I sleep better, I’m almost always in a good mood, my memory is better . . . everything improved. It was like being given a new body and mind. Although it is much more manageable than it was previously, I still have pain with my menstrual cycle. Endometriosis has been hard to completely resolve. I also very occasionally have what I would call “twinges” of the old, familiar stuff, but it never lasts long and never really requires any management. I discovered I had SIBO (small intestine bacterial overgrowth) in June of 2012, which was treated successfully with one round of antibiotics. Unfortunately, it came back early this year and did not respond as well to the antibiotics, so I added a second protocol to my diet: Low-FODMAP. Now, I notice if I have a meal with too many FODMAPs, I can end up with some mild GI pain and some bloating. SIBO is a very common problem for those with digestive disorders, but I am no longer worried about it recurring, as I clearly know the symptoms and how to approach it with diet. I also got my weight to stabilize (not losing anymore), but I remain underweight. I’m that girl who had her fingers crossed and thought maybe after going gluten-free I’d put on all the curves, but so far that hasn’t happened. I try to meditate most mornings, I pray regularly, and I have a walking routine. I also take some supplements and do detox baths several times a week. This year, I've also taken some really big steps to eliminate as much stress as possible from my life, and prioritize doing things that feed my soul. Lastly, I have a great functional medicine doctor. When I hit a plateau in my healing, he helps me troubleshoot. I have pancreatic insufficiency as a result of celiac, so I take a prescription pancreatic enzyme. On the first day of my menstrual cycle, if the pain is intolerable, I will also take two Tylenol. Other than that, I don’t take anything. Pre-diet, I took NSAIDS like candy, decongestants several times a week, Xanax several times a day, proton-pump inhibitors daily and birth control continuously. In the first six months I did not “cheat” at all. I was incredibly strict. From that point on, my “cheats” have been the occasional glass of wine or hard cider and sometimes chocolate. Honestly, the temptation isn’t even there. I feel so much better; it is completely not worth it in my mind to risk my good health. Do you intend to do this diet forever, or do you hope to wean yourself off it eventually? If you have weaned off, what was your process? I would be overjoyed if one day I am able to reintroduce the “out” AIP foods (eggs, nuts/seeds, & nightshades.) So far, most reintro attempts have not worked out really well for me. That said Paleo/AIP is far more than a diet for me, it is my way of life. I have no plans to ever stop. In the beginning, doing something as restrictive as AIP was overwhelming. I never gave up, but I had a few literal temper-tantrums. Thankfully, I had been living overseas in a developing country, so the concept of restriction was not totally foreign to me. I was also already adept at meal planning, prep, cooking, and adaptation (again thanks in large part to my life overseas), so that part of the adjustment was not too bad. Now, the biggest challenge is social. I navigate it really well, but it can be difficult at times. I try to focus on the “being together” aspect of social situations, instead of the food aspect, and I encourage the people around me to focus there too. I’m really lucky. I have an incredible husband. He has been amazing every step of the way. My daughter has also been a very loving and flexible kid in this process. I also have a lot of very cool, very understanding friends. I don’t think I could ever just throw in the towel; all my cheerleaders wouldn’t let me do it. If you decide to attempt a healing diet, really, really commit. You have nothing to lose and everything to gain. I am thankful everyday that I found the approach that worked for me. It changed my whole life and ultimately showed me my purpose. We live in a deeply ill society and working harder to adjust your self to illness is no way to live. Break free from it, and your effort and struggle will be rewarded with something immeasurably valuable…your life. You can read Angie's journey at her previous blog, Alt-Ternative Autoimmune. 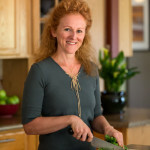 Update: In 2014, Angie published the Alternative Autoimmune Cookbook. She also works now as a health coach. 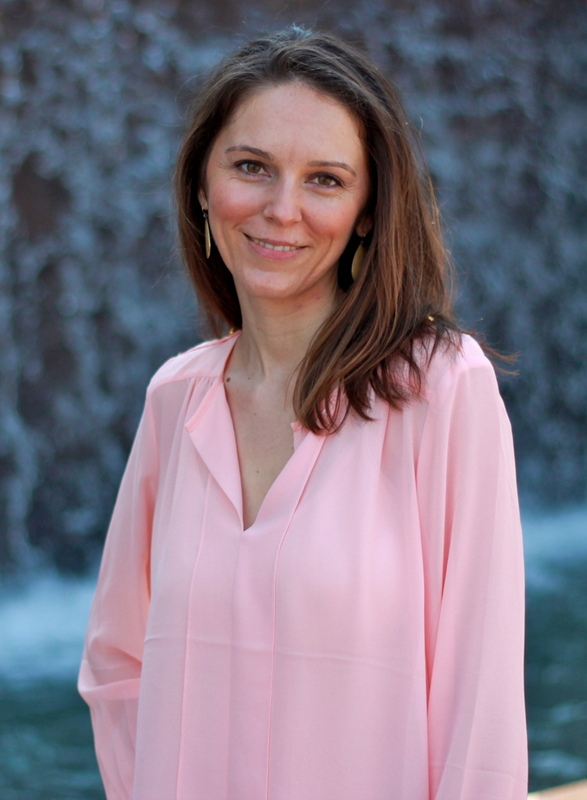 In 2015, she joined forces with Mickey Trescott and is a co-author over at Autoimmune Wellness. 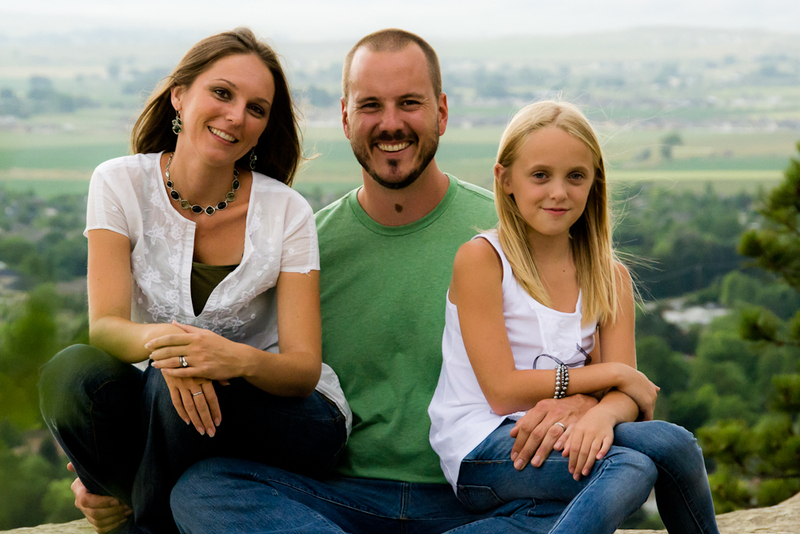 Here's Angie with her husband David and daughter Maggee. Angie asked me to mention that this photo is 2 years old, which means her daughter now looks like a teenager. Life is all about change! Still, this picture certainly captures the beautiful love they all share.